South Korea said Thursday that the economic output of the Kaesong Industrial Complex had increased this year, despite a wage dispute. The value of the production at the inter-Korean complex reached $186 million in the first four months of the year, a 25 percent increase from the previous year, according to data released by South Korea’s Unification Ministry. 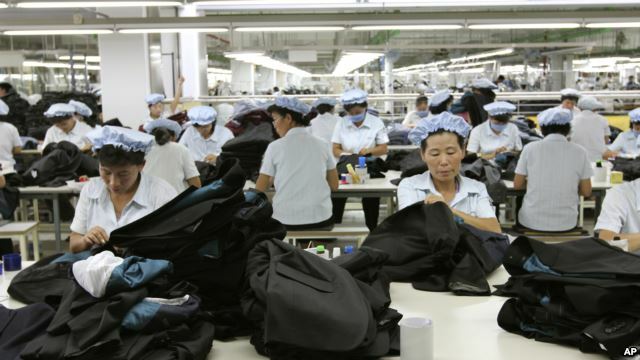 Its figures showed the dispute over wage increases for North Korean workers at the complex had not affected overall production. It went up from last year by 20 percent in March and April, when tensions ran high over the wage dispute. The number of workers from the two sides also increased, to 55,000, up 2,000 compared with last year. The two sides have been at odds over the issue since November, when the North unilaterally decided there should be an increase in the monthly minimum wage for its workers. The South offered government-to-government talks in the dispute, but the North refused the offer, allowing meetings with representatives of South Korean businesses. In May, the North threatened to withdraw its workers from the complex, but the shutdown of the facility was averted. On Thursday, the North accepted the South Korean proposal to hold government-to-government talks. The two sides agreed to meet in Kaesong on July 16 to discuss a wide range of issues concerning the management of the complex, including the wage issue, according to South Korean officials. The two sides have not held government-to-government talks concerning the complex since June 2014. The Kaesong complex is just north of the demilitarized zone that divides the Korean peninsula.